Bentley is an iconic British brand that is coveted worldwide. 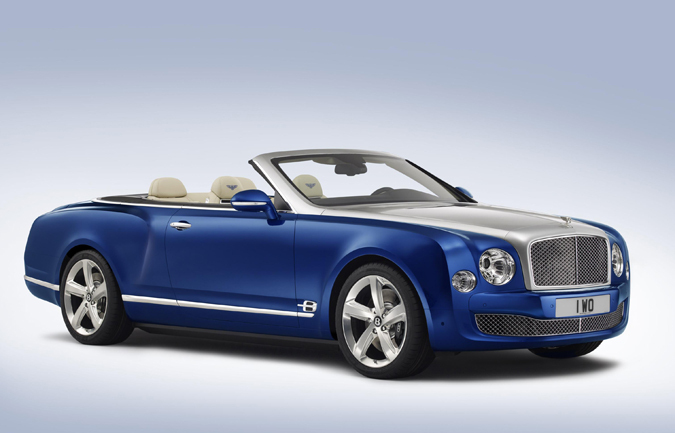 With the introduction of the new Bentley Grand Convertible, car enthusiasts have one more reason to love the luxury brand. With a gorgeous Sequin Blue exterior color (based on a single sequin from a customer’s haute couture gown), the Bentley Grand Convertible also features a silver “liquid metal” finish to the bonnet and windscreen frame. Contrasting the rich blue body work is the Bentley directional wheel design, finished by hand and polished to a high shine. The interior is luxurious and breath-taking with 14 naturally tanned leather hides that are merged together with progressive-diamond quilting and Sequin Blue thread cross-stitched by hand. The light hide is contrasted by the sleek elegance of Beluga leather around the top of the doors and extending back to the rear tonneau, framed in polished chrome. “We are eagerly awaiting the response of our customers to this car. We will ensure that this car – if it reaches the roads – will be a highly exclusive, extremely limited collector’s piece,” Dürheimer said. 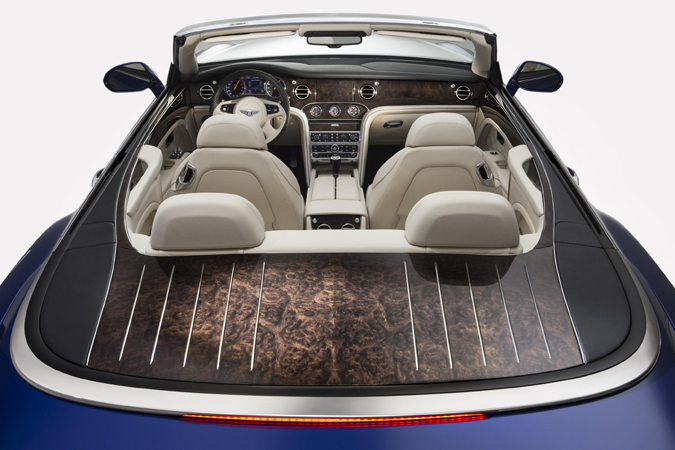 Iconic yet understated in style, the Bentley Grand Convertible represents the ultimate in powerful, sensuous roofless motoring.